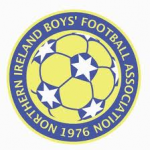 DB Sports Tours is proud to announce an exciting new groundbreaking partnership with our good friends the Northern Ireland Boys Football Association. We have enjoyed working closely with the NIBFA and their ambitious clubs in recent years and recently agreed a three-year sponsorship deal. We believe Northern Ireland is a hot bed of schoolboy talent and presents a fantastic opportunity for DBSportstours to help clubs expand their horizons. Following our work with exceptional clubs like ST.Oliver Plunkett’s, Glentoran, Oxford United and Sion Swifts we are now looking forward to bringing even more players and coaches to the best academies and grounds in Europe. Next summer’s annual international competition in Dublin will hopefully see more Northern Irish clubs join their southern, English and European counterparts. Another elite competition run by DBSportstours is the annual DB Sports Tours Champions Cup that will be expanded for its second year in January. Following a first-leg clash in Dublin last December, SFAI champions Shelbourne were defeated by their northern counterparts St Oliver Plunketts at the start of the year to capture the inaugural title at Seaview. Keep an eye on our blog page for the announcement on the 2013 Champions Cup – it promises to be exciting news. We believe the NIBFA will be an extremely important part of our company going forward and is very excited about the new partnership.